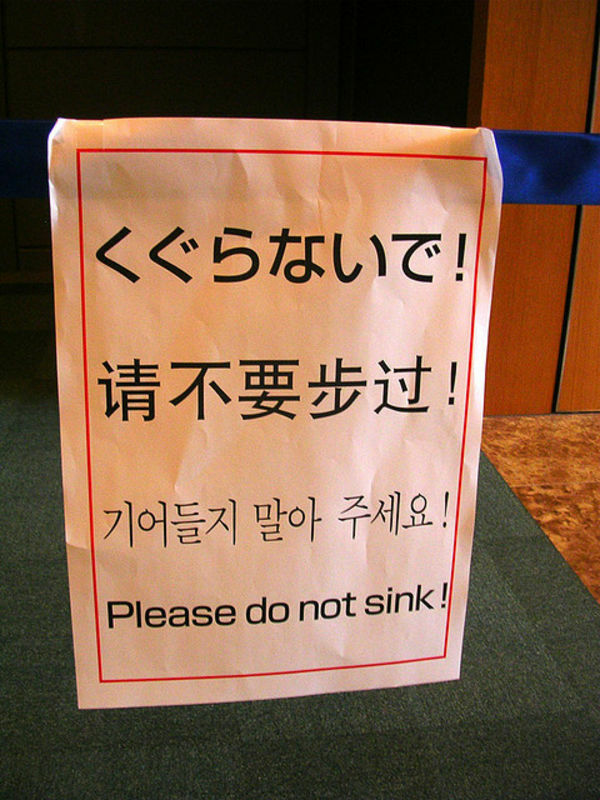 If you haven’t seen the first Engrish post, you can check it out by clicking this link! 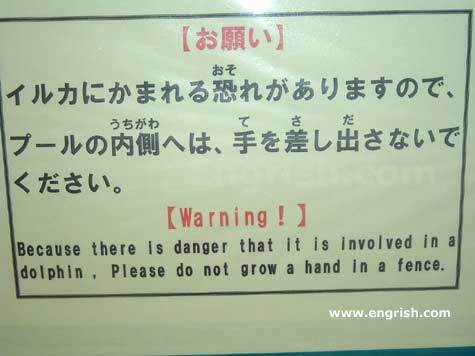 Then where do you recommend I grow a hand? 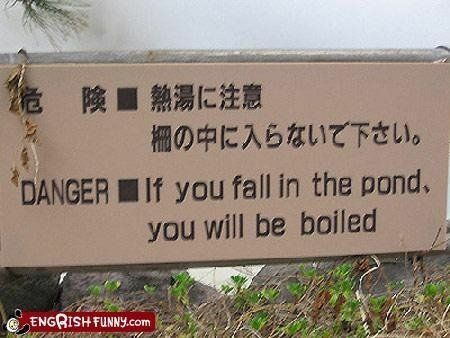 If you fall in the pond, you will be boiled. 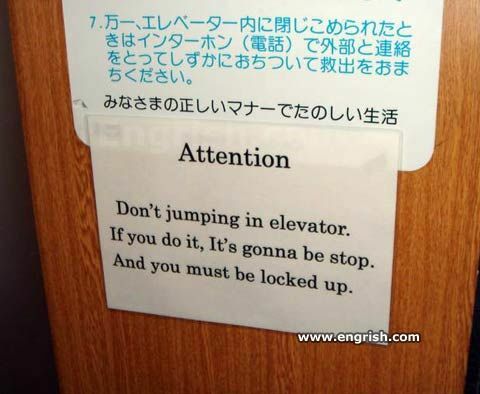 Jumping in elevators is a serious crime. 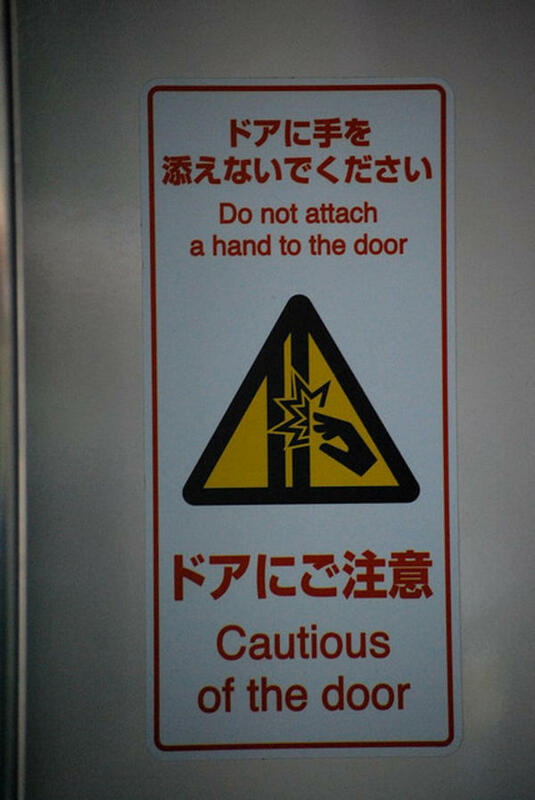 Step 1: Cautiously drop baby. 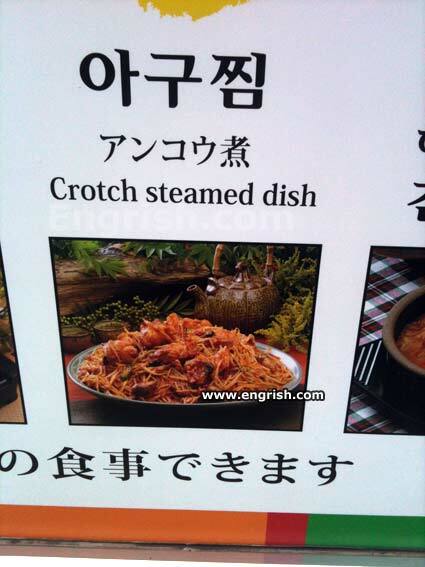 Step 2: Don’t leave baby. Step 3: Stare at baby. 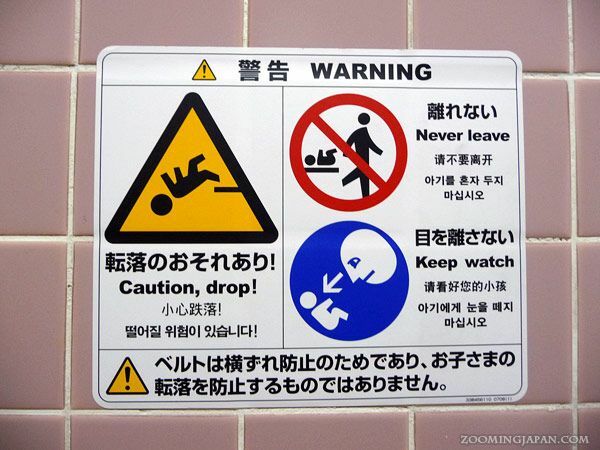 “Falling risk!” “Don’t leave” “Don’t take your eyes off” “The belt is intended to prevent slipping out sideways, but will not prevent your child from falling out”. 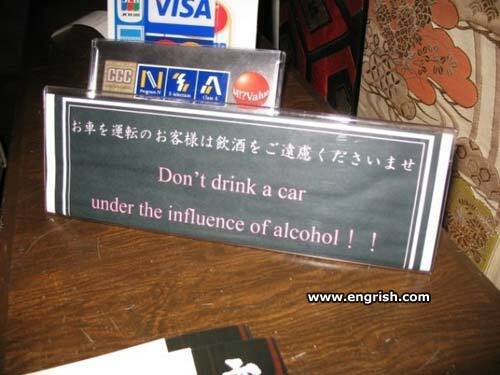 Because it’s just as fun going in as it is going out. 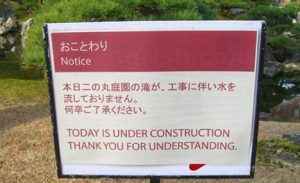 I hope they can finish today by tomorrow. 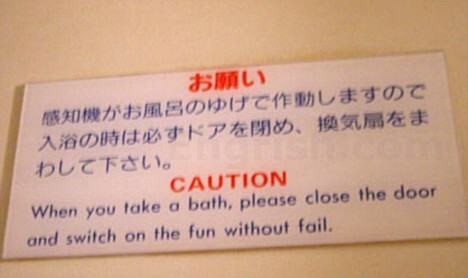 Thanks, but I always switch on the fun without fail. “Sensors are automatically activated at the presence of the bath’s steam, so when you take a bath make absolutely sure you close the door and turn on the fan”. 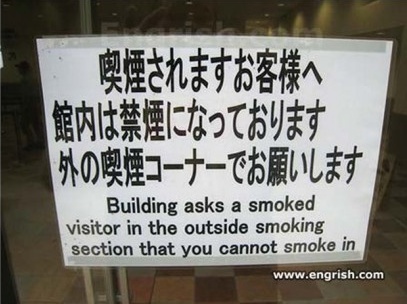 “To customers who will be smoking, smoking is banned inside the building, please use the smoking corner outside”. 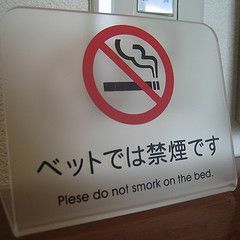 But I love smorking on the bed! “Smoking is prohibited in bed”.